August marks José Verstappen's final month as Artistic Director of Early Music Vancouver and Israel in Egypt, presented at the Chan Centre on August 7, is his last hurrah. 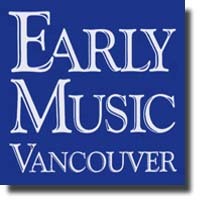 It was as fine an evening of music as any of the splendid offerings Vancouver Early Music Festival has presented over the years. Israel in Egypt is an oratorio in three parts, The Ways of Zion do Mourn, a memorial for Joseph, a section often omitted from performance; Exodus, in which the Exodus and plagues of Egypt come thick and fast without the dramatic interaction between Moses and the Pharaoh; and Moses' Song which recollects the crossing of the Red Sea in more detail while rejoicing at, and giving thanks for, the escape. A highly accomplished double choir of some 25 singers, including a large and stellar contingent of soloists, was matched by the 30-strong Pacific Baroque Orchestra. In the Chan, these forces were perfectly balanced and apparently of a single mind, creating a unity which reinforced the sense of an entire group's experience underlying the work. Part I is a marvellously varied structure of monophony and polyphony, fugues and fantasias, almost entirely for the chorus the ‘solos’ being in fact one-on-a-part quartets which float over the chorus like bubbles. More religious in tone and less dramatic it sits slightly apart from the rest of the oratorio and is often omitted from performance. However, it sets the scene of a nation in mourning as background to the following parts and its measured grief contrasts extremely well with the triumphal joy of the final section. If its inclusion is part of ‘historically-informed performance’, all the better. Action abounds in Part II as the orchestra becomes frogs, flies, lice and locusts, leaping, buzzing, skittering and hopping almost palpably and tension builds from the revolting rivers of blood through the ping of hailstones and chromatically gloomy thick darkness to culminate in the forceful striking of the first-born of Egypt. A sudden change to gentle pastoral is marked by flutes (Janet See, Soile Stratkauskas), airy and golden, as the Israelites are ‘led like sheep’ out of danger. Reginald L. Mobley (countertenor) “Their land brought forth frogs” brought forth a gloriously leaping voice, glistening with ornaments. Part III opens with a breath-taking chorus, "I will sing unto the Lord, for he hath triumphed gloriously". Ed Reifel on the Baroque timpani newly-acquired by Early Music Vancouver thundered as trumpets and trombones delivered victorious, clarion fanfares. A delicate, intricate duet, "The Lord is my strength and my song", deliciously sung by Suzie Leblanc and Shannon Mercer (sopranos) followed, balanced by a bass duet, “The Lord is a man of war” resonantly sung by Sumner Thompson and Tyler Duncan. The mellifluous Charles Daniels, whose elegant recitatives informed the Exodus, gave an astounding display of bravura vocalization in “The enemy said, destroy them,” an aria of over-reaching militaristic pride. Laura Pudwell’s apparently effortless "Thou shalt bring them" in provided a moment of rest amongst the triumphal choruses. Alexander Weimann conducted with a dancing energy to which chorus and orchestra were quick to respond. A strong sense of ensemble pervaded soloists, chorus and orchestra and the excellent pacing both underpinned Handel’s effective dramatic structure and developed the power of his emotional narrative. Clarity of line, crisp diction, graceful ornaments, all contributed to a splendid event.